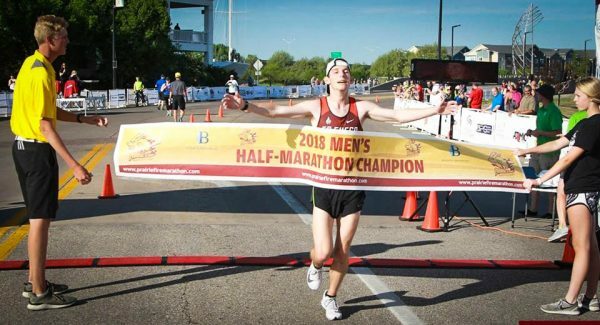 Recent Newman graduate Austin Lavin has been training for months to prepare for the local Prairie Fire Half Marathon — and his dedication and determination paid off. Lavin won the race, which took place May 6 in Wichita, Kansas, missing his personal goal by only eight seconds. 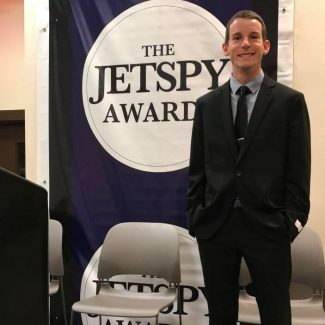 Austin Lavin attends the 2018 Newman Jetspy Awards as a nominee for Male Athlete of the Year. Lavin grew up in Glendale, Arizona, and has been running since he was in fifth grade. An injury during junior football caused him to switch his sport to track. He said he couldn’t do both sports at the same time, but since he broke his arm while playing football which prevented him from finishing his season, he made the move to cross-country. He said he’s pretty sure it was meant to be. Lavin held three championships while in middle school. As he aged, he continued running. He heard about Newman through his dad’s friend. Lavin earned his associate’s degree from Paradise Valley Community College before transferring to Newman as an applied mathematics major and said his experience at Newman couldn’t have been a better one. He said being a student-athlete throughout his collegiate years helped him gain great time management skills not to mention providing him the opportunity to form some solid friendships. Associate Professor of Mathematics John Vogt. 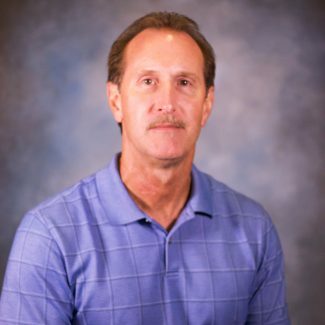 As for his academic experience, he said the biggest impact Newman leaves him with is the impression his professors left, especially Associate Professor of Mathematics John Vogt. Athletically, Lavin’s cross-country coach at Newman, Josh Schepis, provided him with some leadership experience during his senior year. Lavin said he wants to work in the life insurance business and is on his way to becoming an actuary, studying for a series of exams he’ll need to take in order to do so. But before he does that, he’s going to get in one more big race — the San Diego Rock ‘n’ Roll Marathon. 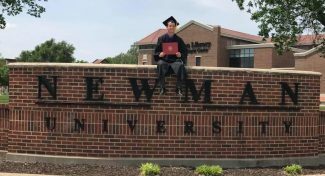 Austin poses on the Newman University campus after earning his degree in applied mathematics.